Abdul Mohsen Abdallah Ibrahim al Charekh, more commonly known by his nom de guerre Sanafi al-Nasr, meaning “cultivator of victory,” was the reported deputy leader of the Khorasan group. U.S. officials confirmed that al-Nasr was a senior leader of al-Qaeda and the leader of al-Qaeda’s “Victory Commitee” (Shura al Nasr).Thomas Joscelyn, “Head of Al Qaeda ‘Victory Committee’ in Syria,” The Long War Journal, March 6, 2014, http://www.longwarjournal.org/archives/2014/03/_at_first_nasr_staye.php. One report states that al-Qaeda’s Victory Committee “is responsible for developing and implementing al Qaeda's strategy and policies.”Thomas Joscelyn, “Head of Al Qaeda ‘Victory Committee’ in Syria,” The Long War Journal, March 6, 2014, http://www.longwarjournal.org/archives/2014/03/_at_first_nasr_staye.php. On October 15, 2015, the U.S. military killed al-Nasr in an airstrike in northwest Syria.Bill Roggio and Thomas Joscelyn, “US military confirms it killed senior al Qaeda strategist Sanafi al Nasr in airstrike in Syria,” Long War Journal, October 18, 2015, http://www.longwarjournal.org/archives/2015/10/us-military-confirms-it-killed-senior-al-qaeda-strategist-sanafi-al-nasr-in-airstrike-in-syria.php. Like Khorasan's deceased leader Muhsin al-Fadhli, al-Nasr once served as the leader of al-Qaeda’s Iran-based funneling network.Thomas Joscelyn, “Senior Al Qaeda Strategist Part of So-Called ‘Khorasan Group,’” The Long War Journal, September 24, 2014, http://www.longwarjournal.org/archives/2014/09/senior_al_qaeda_stra.php. This network “served as a financial conduit, collecting funds from donors throughout the Gulf and moving those funds via Iran to al Qaeda's leadership in Afghanistan and Iraq.”Thomas Joscelyn, “Report: Senior Al Qaeda Facilitator ‘Back on the Street’ in Iran,” The Long War Journal, January 31, 2014, http://www.longwarjournal.org/archives/2014/01/_as_head_al_qaeda.php. The responsibilities that al-Nasr inherited included “overseeing al Qaeda efforts to transfer experienced operatives and leaders from Pakistan to Syria, organizing and maintaining routes by which new recruits can travel to Syria via Turkey and assisting in the movement of al Qaeda external operatives to the West.”Thomas Joscelyn, “Report: Senior Al Qaeda Facilitator ‘Back on the Street’ in Iran,” The Long War Journal, January 31, 2014, http://www.longwarjournal.org/archives/2014/01/_as_head_al_qaeda.php. Al-Nasr had an extensive presence online including Twitter.Thomas Joscelyn, “Head of Al Qaeda ‘Victory Committee’ in Syria,” The Long War Journal, March 6, 2014, http://www.longwarjournal.org/archives/2014/03/_at_first_nasr_staye.php. According to the U.N.’s Al-Qaeda Sanctions Committee, al-Nasr was “a leading terrorist Internet propagandist since 2006.”United Nations Security Council, “United Nations Security Council Adds Names of Six Individuals to Al-Qaida Sanctions List,” United Nations, August 15, 2014, http://www.un.org/press/en/2014/sc11521.doc.htm. Sanafi al-NasrUnited Nations Security Council, “United Nations Security Council Adds Names of Six Individuals to Al-Qaida Sanctions List,” United Nations, August 15, 2014, http://www.un.org/press/en/2014/sc11521.doc.htm; “Treasury Designates Additional Supporters of the Al-Nusrah Front and Al-Qaida,” U.S. Department of the Treasury, August 22, 2014, http://www.treasury.gov/press-center/press-releases/Pages/jl2613.aspx. August 22, 2014; Abdul Mohsen Abdullah Ibrahim al-Sharikh (Sanafi al-Nasr); Specially Designated Global Terrorist (under Executive Order 13224); Department of the Treasury. Blocks all property in U.S. or under possession of control of U.S. persons; bans any property-related transactions by U.S. persons or within U.S., including giving or receiving contributions to the entity.“Treasury Designates Additional Supporters of the Al-Nusrah Front and Al-Qaida,” U.S. Department of the Treasury, August 22, 2014, http://www.treasury.gov/press-center/press-releases/Pages/jl2613.aspx. August 22, 2014; Abdul Mohsen Abdallah Ibrahim al Charekh; Person Associated with the Al-Qaida Network.“Notice for the attention of Abdelrahman Mouhamad Zafir al Dabidi al Jahani, Hajjaj Bin Fahd al Ajni, Abou Mohamed al Adnani, Said Arif, Abdul Mohsen Abdallah Ibrahim al Charekh and Hamid Hamad Hamid al-'Ali which were added to the list referred to in Articles 2, 3 and 7 of Council Regulation (EC) No 881/2002 imposing certain specific restrictive measures directed against certain persons and entities associated with the Al-Qaida network, by virtue of Commission Regulation (EU) No 914/2014,” Official Journal of the European Union, August 22, 2014, http://eur-lex.europa.eu/legal-content/EN/TXT/?uri=uriserv:OJ.C_.2014.277.01.0012.01.ENG. August 15, 2014; Abdul Mohsen Abdallah Ibrahim al Charekh (Sanafi al-Nasr); Individual associated with Al Qaida.“The Al-Qaida Sanctions List,” United Nations, last modified September 23, 2014, http://www.un.org/sc/committees/1267/AQList.htm. 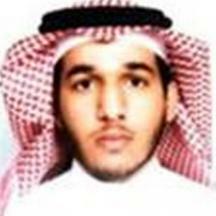 August 22, 2014; Abdul Mohsen Abdallah Ibrahim al Charekh (Sanafi al-Nasr); Person Associated with the Al-Qaida Network.“Financial Sanctions Notice,” HM Treasury, August 22, 2014, https://www.gov.uk/government/uploads/system/uploads/attachment_data/file/347279/AQ_notice_914_2014__1_.pdf. Abdul Mohsen Abdallah Ibrahim al Charekh, more commonly known by his nom de guerre Sanafi al-Nasr, meaning “cultivator of victory,” was the reported deputy leader of the Khorasan group.